Reverend Ernest Atherton Cartwright – from criminal to preacher and Army officer. There is no further mention of Reverend Cartwright in the book and he does not appear on the list of applicants to join the Pals, or on the full roll. The only Ernest Cartwright we have found at all amongst the Pals joined the Bantam Battalion and was killed in action in 1917. The Bantams did not wear the Leeds Coat of Arms as a cap badge. Assuming the photo is correctly captioned, what happened to him? Ernest Atherton Cartwright is quite a distinctive name, and it is given in full on the 1911 Census, filled in by him. He was living at 15 Regent Park Avenue, Leeds, with his wife Adah Etruria, and her sister Helena Wedgwood. They married on 9th February 1899 at the Parish Church in Manchester, he a 20 year old bachelor and she a 40 year old spinster. (Marriage Register 1899). They had one child, which sadly did not survive. As Adah was now 51, 19 years older than her husband, it is probable that there were no further children. Ernest’s occupation was given as Baptist Pastor, and he had been born in Salford, his birth being registered in 1879. (Birth Register March 1879). I don’t think there can be any doubt that this is the same man. (Find My Past). In 1881 his family were living at Buxton, Derbyshire and were listed as his father William, mother Jane and siblings Maud and Sydney. (1881 Census). By 1891 the family had increased by a further three children, Emily, William and Elsie, and were still living in Derbyshire. William was a Manufacturing Chemist. (1891 Census). It seems unlikely that this Ernest was a different man, but he could have undergone conversion in prison, and started a new life as a minister on his release. 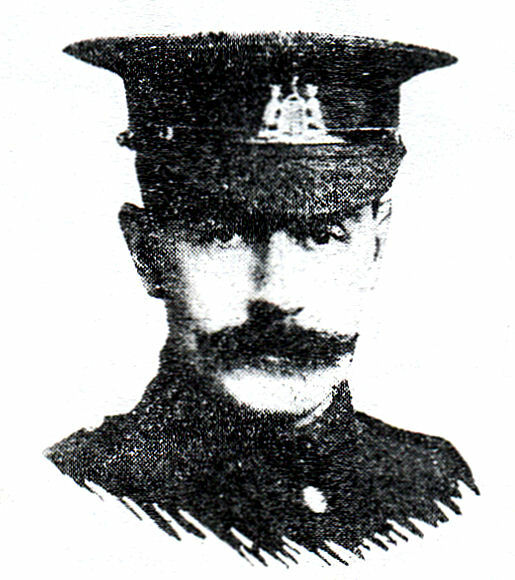 The next reference to Ernest Atherton, apart from Milner, is in 1915, when, on 11th March, he was commissioned as 2nd Lieutenant in the 17th Battalion, The Lancashire Fusiliers (Army List 1915). Is this the same man? If it is, what happened to his volunteering for the Pals, what was he doing during the intervening months, and how did he, with a criminal record, obtain a commission? The officer shortage had not become that acute that quickly. Some time later, possibly in 1918, he was attached to the Loyal North Lancashire Regiment, but when his Medal Card was prepared, around 1920, he was listed as a captain in the Lancashire Fusiliers, with his address as c/o The Government of Palestine. (Ancestry: Medal Index Card). He was awarded the British War Medal and the Victory Medal, the card also showing that his first theatre of war was Egypt, which he entered in April 1917. Adah Etruria is also an uncommon name, but she seems to have come from an ordinary English family, her father being Josiah Wedgwood and her mother Nancy Tattersal. Some research gives her death as 1929 in Dudley, when she would have been 71. But there is also a record of a death in 1938 in Erongo, Namibia, making her 80. Neither is impossible, and there is evidence of a second wife for Ernest, Jessie Cicely Phyllis Gawn, who was married in Hampstead in 1942, and who registered the probate on Ernest’s will when he died, in 1953 in Canberra, Australia. (Probate Report 1954). In all, still a rather confusing story, some of which has been supported by some family members. What we need now is for another member of the family to appear and say, ‘This is what actually happened.’ If you are that person, please get in touch. 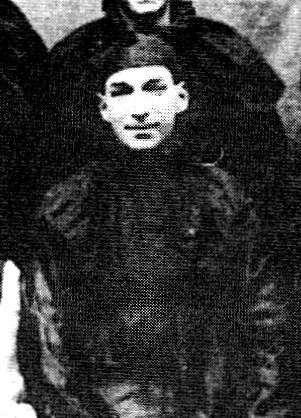 Jogendra (John or ‘Jon’ as he was known to his Pals) Sen was unique in many ways when he joined the Leeds Pals. Not only was he Indian by birth and a Hindu, he was also deemed to be one of the most educated soldiers in the Battalion; he spoke some seven languages. Born at Chandenagore in Bengal in 1887, where his widowed mother lived, he travelled to England in 1910 to do an engineering degree at Leeds University. In 1913 he joined the Leeds Corporation Electric Lighting Station in Whitehall, initially working for the manager before being placed on the staff as an assistant engineer. A popular and cheerful man, he had no hesitation in enlisting in the Pals in September 1914, and was one of the first to answer the call. Jon was, at the time, living in Grosvenor Place, Blackman Lane, Leeds. The man who brought to light the items was Dr Santanu Das, a reader in English at King’s College London, who noticed them and some of his other belongings in a museum on a visit to Sen’s home town of Chandernagore, some 22 miles north of Kolkata in West Bengal, India. 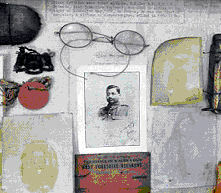 Among the items displayed at the museum is a photograph of a woman found in his personal effects, inscribed ‘Yours with love, Cis’. The woman was found to be Mary Cicely Newton, who had links with the Mill Hill Chapel in Leeds where, it transpired, Sen sang in the choir. Jon Sen is buried Sucrerie Cemetery, Colincamps. He was awarded the 1914-15 Star, the War Medal and the Victory Medal. Frederick Murray Ashford was born on September 28th 1886 in Highbury. His father and his grandfather, also both Fredericks, had at one time been pianoforte makers so Frederick had an early musical background. He was also an athlete. In 1908 he was a finalist in the 880 yards in the AAA Championships, running for Finchley Harriers. (He also sang at their Bohemian concerts.) In the same year he was a semi-finalist in the London Olympics 880 yards race but did not complete his heat. From June 1904 he studied piano, organ and harmony at the Royal Academy of Music, and in 1905 achieved a bronze medal in organ and another in sight singing. After leaving the Academy in 1906, having developed a fine tenor voice he began a career as a soloist. The 1911 census lists him as professional singer, concert artist. At the time of the census he was at 64 Ambler Road Islington together with his father, Frederick William, a fancy goods agent, mother Mary and younger sister Florence Gertrude, a shorthand clerk. Grandfather Frederick Ashford aged 83 is also listed. Frederick’s name as a singer first appears in 1902 when Master Frederick Murray Ashford sang “The Swallow” at a local concert. From 1909, under the professional name Murray Ashford he began to appear frequently in concerts, mainly in the South of England, including Eastbourne, Hastings, Southampton and Bognor Regis, and always receiving very favourable notices. In 1915 he married the soprano Gladys Ashton, whom he met while touring and with whom he performed duets. They had 3 children, Frederick Herbert Ashton born in 1919, James 1923 and Nanine 1929. Frederick Murray Ashford is listed in the London Gazette on March 28th 1917 as a temporary 2nd Lieutenant and joined the 15th Battalion West Yorkshire Regiment – still known as the Leeds Pals – on May 26thas quartermaster. 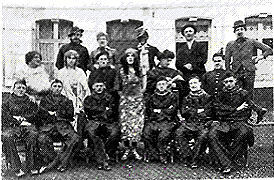 While with the battalion he played a major role in the Owls Concert Party, both as producer and performer, including both producing and starring in the pantomime Aladdin at Christmas 1917. The concerts did much to keep up morale in the last stages of the war. After the war he returned immediately to the Concert party scene as performer and manager, again mostly in the South. The Era of August 13th 1919 says of him that he had “already found favour with Margate before he ‘donned khaki.’ ” By now he was arranging concerts, employing artists and managing theatres. His company performed at the London Palladium and The Alhambra. He also appeared in pantomime, including Ali Baba and the Forty Thieves in Eastbourne. Murray Ashford’s funeral was held at Golders Green. Murray Ashton’s wife continued to manage The Bouquets after his death. 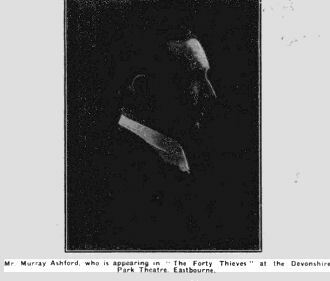 Jim Murray Ashford, his younger son who had also served in the RAF, continued the family’s theatrical tradition, at first as a performer including, like his father, pantomime at the Devonshire Theatre in Eastbourne, then on the management of the Drury Lane Theatre. In the 1960’s he was directing programmes on television. His father would have been proud of him.